If you’ve recently switched to Sitebuilder 3 from the previous version of the Builder, you have noticed some major differences in the way pages are built. Sitebuilder 3 is optimized for easy, intuitive page-building that results in attractive, professional-looking websites. What happened to the Advanced CSS option? We have replaced the Advanced CSS Editor with an interface that allows you to customize aspects of your theme without knowing any CSS coding. For information on how to customize your theme using the Theme Editor, click here. How can I use HTML in Sitebuilder 3? If you want to use HTML to add features like widgets and advertising code, you can use the HTML module in the Sitebuilder. Click here for information on using the HTML module. How can I add music to a page? We have changed the way you can add audio to your page. To add music to a page using the Audio module, click here. Creating tables in the Sitebuilder has never been easier. With the Table module you can create tables that are attractive and easy to format. To get started, click here. How do I find my files? You may have noticed that we have moved the File Manager tab in Sitebuilder 3. To manage your files, click Dashboard at the top of your account. From the Dashboard page, click File Manager under the “Settings” tab. What happened to the Form app? You can now create an easy form for any of your pages built in Sitebuilder 3. This means you aren’t just limited to creating a Contact Page. 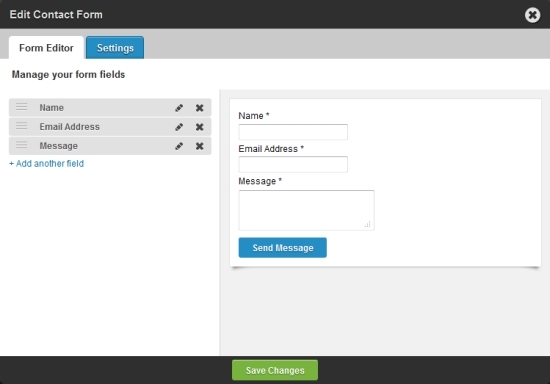 Click here to learn about using the Form module. How do I edit my images? When you are using the Image module, you can use our formatting tools to scale, resize, and add decorative frames. You can also easily wrap text around images using the Image & Text module. To get started using the Image and Image & Text modules, click here. 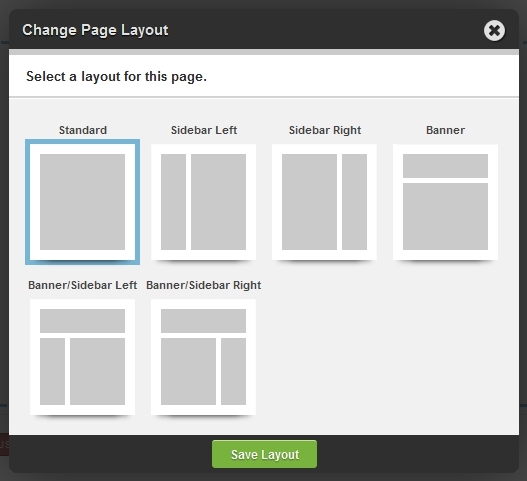 When you first choose a theme in Sitebuilder 3, your default layout will not have a sidebar. However, you can add a sidebar by switching your layout to Sidebar Left or Sidebar Right. For more on our different layout options, click here. To preserve custom sidebar elements across multiple pages, such as app feeds, you can use the "page cloning" feature found in Pages.